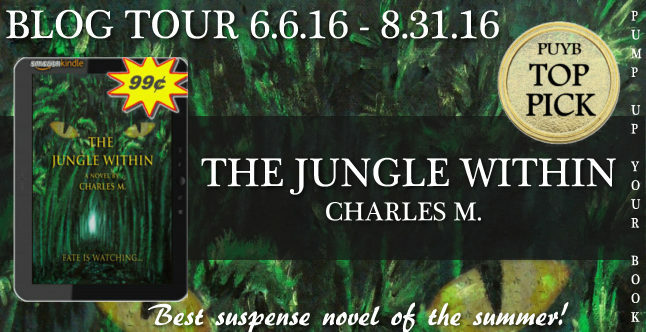 The Jungle Within Blog Tour Author: Charles M.
When Evan and Katie said “I do”, they expected to navigate life together side-by-side. But when a car accident and a tawdry affair disrupt life as they know it, Evan and Katie are forced to venture on alternate paths, alone. 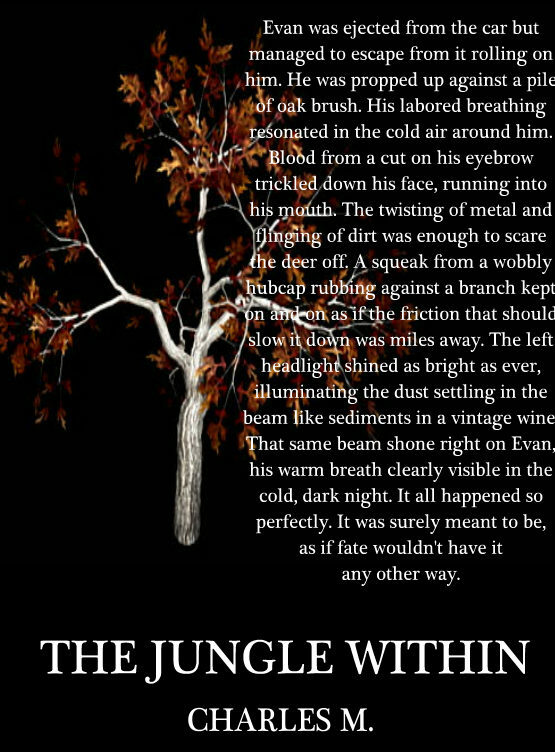 In the darkest depths of an unforgiving coma, Evan fights to survive the treacherous jungle of his mind. He embarks on a spiritual journey to understand the meaning of life and the beauty of death…forcing him to face his deepest fear. Meanwhile, Katie ventures through her own guilt. On a strenuous moral journey, she juggles the consequences of infidelity and the strain of caring for her unresponsive husband. But are their paths truly separate? Or are they simply on parallel journeys that are destined to converge? The Jungle Within is available at Amazon. Katie flagged down the waiter for another round of appletinis. She turned off her phone to eliminate any disruption in the evening’s events. She surveyed the room diligently, nodding in satisfaction. The bar was classy. Oak panels stained deep red layered the floor with matching rafters up above. It was the kind of place that lawyers and corporate business-types frequented. Tonight it was bustling with the usual crowd. Waiters played the dodging game, weaving in and out of groups perfectly without ever spilling a drop. As the waiter brought the drinks to the table, Katie shifted her weight and repositioned her legs. Whether or not she was aware of it, she moved ever-so-subtlety closer to Dylan. Katie had never cheated on Evan before, though she had come close a few times. Flirting and sending the wrong message to guys happened all the time with her. It made guys take chances that crossed the line with remarks and gestures most would consider inappropriate for a married woman. Katie desperately craved attention. The attention of any male in the room. Tonight she had Dylan’s. 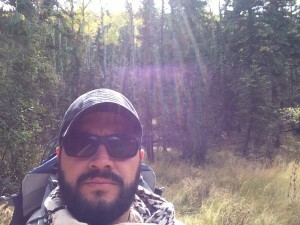 Always eager to challenge myself with new and different roles, I took on the role of “Author,” writing my debut novel among the roles of full-time engineer, local business owner, and family man. But, I have no plans to stop there! I look forward to sharing my novel and experiences with all of you! 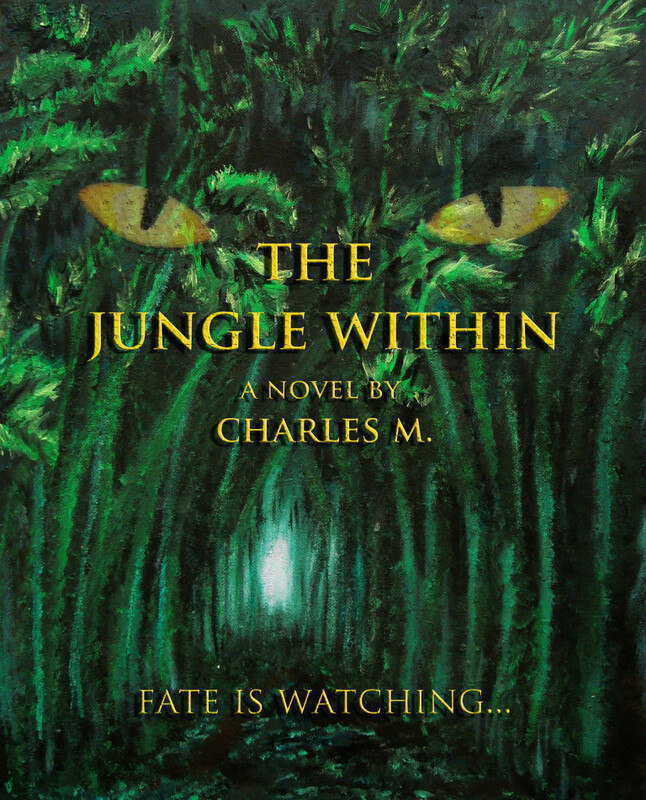 Charles’ latest book is the drama/suspense, The Jungle Within.